Calvin Arsenia, from Kansas City, USA, specializes in singing, songwriting, and improvisation. Multidisciplinary artist, Ivan Solas, explores film, visual arts like light-painting and puppetry in Minsk, Belarus. Séverine Vidal comes from Angers, France. Her world is musical theatre, improvisation, world music, harp and poetry, shows for children and last but not least firejuggling and harp. Morning Improvisation - Each day of the festival will begin with a group improvisation. Be Creative - One of our goals is to use the unique opportunity to set up group performances of all kinds incorporating our different harp-characters. Let’s be crazy and different and do whatever we feel good about to put a show together. Performing With Your Harp - In this workshop, Sabine James will present useful tips on showcasing yourself along with your harp rather than simply existing behind it. Singing with Harp - This workshop will present tips and exercises on the voice and creating arrangements for popular songs that we all know and love. Dance, Juggling, and Movement - Sabine James and Séverine Vidal will lead a workshop on juggling, using the right and left side of the brain and working on right and left hand independence. Dreaming and Goal Setting - In this time, we will have the opportunity to assess all that we have already accomplished in our careers, dream about where we see ourselves in the future, and using our skills and resources, make a strategic plan of action to make those dreams into reality. Festival Opening Concert and Reception - Thursday night we’ll surely do an informal concert for ourselves, or more like a jam-session to meet everybody and get acquainted. Have a good time and just relax, enjoy meeting everybody and let your strings ring! Friday Night Concert (Kulturhaus Glasing) - We’ll spend the Friday in Glasing, a little village right next to Güssing and we’ll perform at the local Hotel-Restaurant ‘Der Silberne Hirsch’ The Outlyre Harpists will bring tunes and songs from around the world as well as our own compositions. Saturday Afternoon: The Tale of the Moonbeam - Ivan Solas will present his show - an all ages storytelling performance with light drawing accompanied by harp. Enjoy his fairy-tale world and get yourself enchanted. Saturday Night Concert (Fürstenfeld Stadtfest) - The Outlyre Harpists are not only musicians who play on a stage - how about joining a street-performance at Fürstenfeld Augustinerfest. An enchanting street festival ambiance and great fun is guaranteed. We will perform pop-up concerts as well as showcase our other talents. Participation wanted - creativity welcome!! 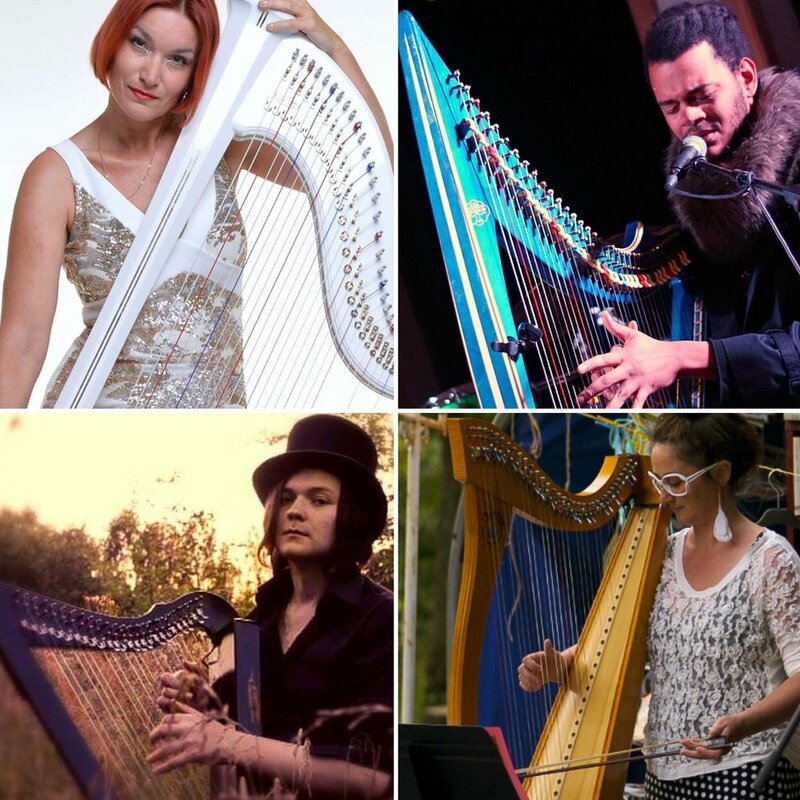 Sunday Night Concert (Burg Güssing - Burgrestaurant) - This final concert set on the medieval castle of Güssing will feature soloists and new collaborations by the Outlyre Harpists for a one time only immersive concert experience. Let’s show off all we’ve created! Let us know if you're interested in joining us!